Boots 3 for 2 is a killer for my bank balance and a few weeks ago it was on again and I had to go and have a little nosey. 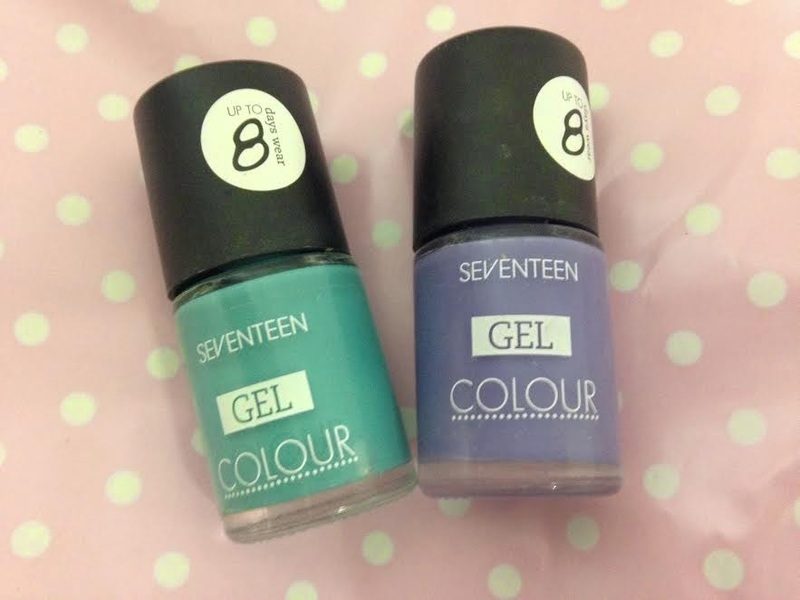 I was pretty good and settled on 3 nail polishes 2 for the Seventeen Gel Colour Range. I cannot remember the last time I purchased from Seventeen it was probably as a teenager but for some reason these stood out to me. Pretty Bang Bang a gorgeous pastel purple and Emerald Tropics is a light emerald in the bottle but the pigmentation is amazing and shows up really bright. I love the brushes on these polishes they are so thick and cover the nail well. It is easy to apply and gives full coverage in one coat but says to add 2 coats for maximum coverage. 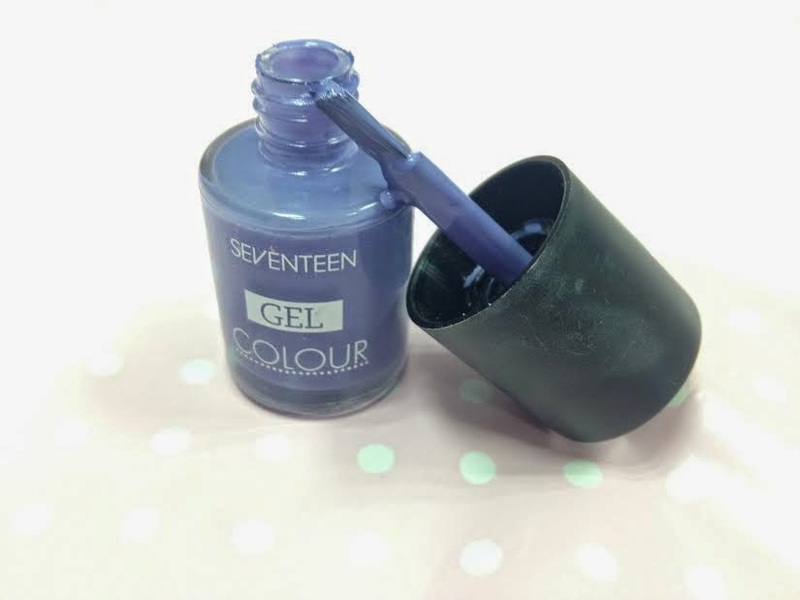 Seventeen say the Gel Colour will last upto 8 days and I have to say Its true. I wore mine to go away for a week and didn't want to take a polish with me. It lasted the week with only a few tiny chips the last day. Amazing to say I was washing up and doing lots of different activities. I will definitely be picking up a few more of these in the next 3 for 2 deal they may be one of the best polishes I have ever bought and at £3.99 so worth it. 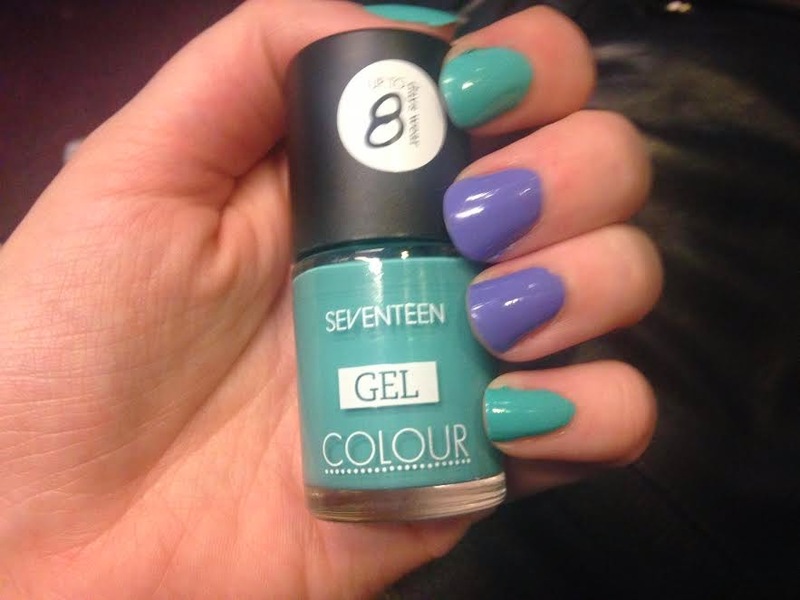 You can get them here from Boots In 15 gorgeous shades and also collect some beautiful points. I've never bought products from 17..
Looks like its time for a change! I love the colour of these nail varnishes. I have one too & I adore the colour but it took me three coats to get it really opaque. Maybe it was because it's a very pale shade. I'll have to give one of the brighter ones a go! These are such pretty shades.